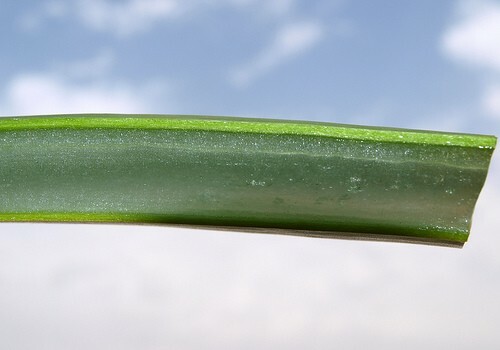 Aloe, the clear, oozing gel that drips out of cuts in the leaves of the aloe vera plant, is one of the world's most popular remedies for skin irritation caused by minor burns, cuts, scrapes, scratches, and insect bites. Aloe isn't just ant-inflammatory. It also encourages the skin to knit together to make bandages unnecessary, while fighting some of the bacteria that can slow down the process of healing. It is important to understand that for relieving pain, aloe is something you put on you, not in you. 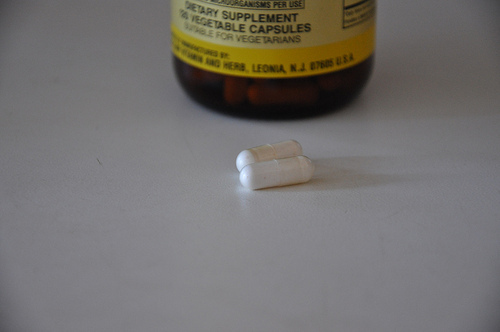 Aloe vera juice, which you drink, and aloe vera bitters, taken in pill form, are laxatives, stimulating the need to go by causing mild muscle cramping. Cinnamon is an ingredient in about 1,600 Chinese herbal formulas, some of which have been used with good results for more than 2,000 years. 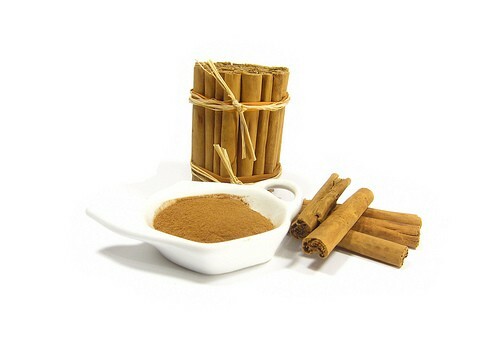 Cinnamon is generally considered to be a "warming" herb, increasing the circulation of blood and relieving conditions of "blood stasis," such as bruising and sore muscles. There is also a body of research that suggests that various kinds of cinnamon can lower blood sugar levels, although it is an overstatement to claim that cinnamon is any kind of 'cure" for diabetes. Just sprinkling a little cinnamon on your breakfast cereal or using cinnamon in creative ways in making fruit dishes and pickles can make a modest difference in pain control. It's not a cure, but it helps. 2013:180721. doi: 10.1155/2013/180721. Epub 2013 May 29. PMID: 23818920 [PubMed]. A good rub down relieves tightness and tension in muscles, but the right massage cream relieves it even more. For massage, choose creams that contain essential oils used in aromatherapy. On a very basic level, specific scents produce specific kinds of pain relief in the brain. Lavender oil, for instance, relieves both muscle and headache pain. Some other essential oils, however, are too irritating to put on the skin. Don't use any massage creams that contain lemon oil, ylang-ylang, or eucalyptus (although eucalyptus is OK for treating chest colds). Capsaicin creams relieve pain but definitely are not for use in massage. That's because the hot pepper chemical in capsaicin creams could cause inflammation and irritation in the person giving the massage, particularly if the product gets in the eyes. Duan WR, Lu J, Xie YK. Mechanisms of Topical Analgesics in Relieving Pain in an Animal Model of Muscular Inflammation. Pain Med. 2013. Jul 19. doi: 10.1111/pme.12199. [Epub ahead of print]. Got neck pain? Don't spend $200 and miss half a day's work seeing a chiropractor, try a simple neck pillow first. Many users of neck pillows are shocked that supporting the neck relieves pain all over the body. 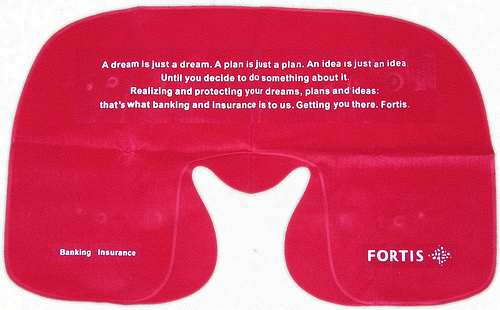 The reason a neck pillow may help relieve, for instance, lower back pain, is that the muscles of the neck and muscles all over the body are connected by fascia, tough connective tissue that keeps them in contact with tendons, ligaments, and bones. Relaxing the fascia in your neck keeps them from tugging on the fascia in your back and arms, so you have less back pain, fewer aches and pains in your arms, and maybe even lower risk of carpal tunnel syndrome. Hong Y, Deng Y, Liu H, Gong R, An L, Gong Q, Li T, Song Y. [Influence of intraoperative cervical posture in single segmental cervical disc replacement on restoration of cervical curve in neutral position].Zhongguo Xiu Fu Chong Jian Wai Ke Za Zhi. 2013 Jan. 27(1):62-5. Chinese. Bath crystals are a multi-billion dollar per year industry, and for good reason. The right crystal makes a soothing bath that relieves both muscular and emotional tension. You don't have to spend a lot of money on bath crystals to get some relief. Even everyday Epsom salts added to the bath can impart magnesium to your muscles and central nervous system to help you relax. 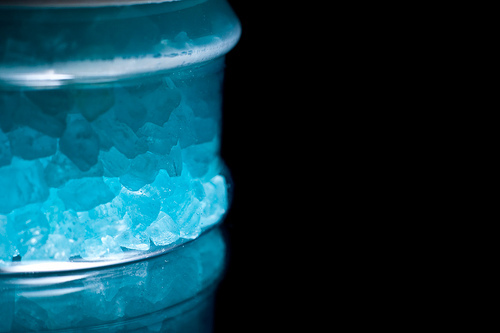 Just remember that synthetic bath salts are for use in the tub, not as recreational drugs. Products that contain the synthetic bath salts MDPV and/or mephedrone act in much the same way as crystal meth, and can cause serious damage to the heart. Sivagnanam K, Chaudari D, Lopez P, Sutherland ME, Ramu VK. "Bath salts" induced severe reversible cardiomyopathy. Am J Case Rep. 2013 Jul 31. 14:288-91. doi: 10.12659/AJCR.889381. Print 2013. Lactobacillus acidophilous is a group of "friendly" bacteria that digest starches and sugars that can't be broken down by human digestive enzymes. Since acidophilus bacteria live in the small intestine, the uppermost part of the bowel into which the stomach empties, their ability to break down milk sugar and the starch in pasta and rice prevents gas production farther down the digestive tract. This action can circumvent bloating, stomach growls, diarrhea, constipation, and abdominal pain. And since bacteria make up about 1/3 of the volume of stool, encouraging the growth of bacteria in the gut increases the size of stools so that bowel movement is easier. Acidophilous capsules can also relieve urinary tract infections and associated pain. Amsel R, Totten PA, Spiegel CA, Chen KC, Eschenbach D, Holmes KK. Nonspecific vaginitis. Diagnostic criteria and microbial and epidemiologic associations. Am J Med. Jan 1983. 74(1):14-22. 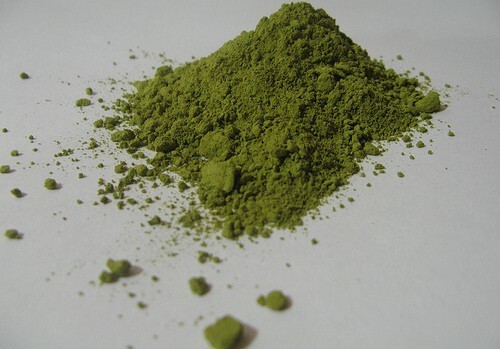 Neem powder soothes skin irritation caused by eczema and allergy. Most users of neem powder, neem soaps, and neem shampoos describe its action as "cooling." It stops itching, and because it stops itching, it stops scratching, and ends oozing, crusting, reddened patches of irritation on the skin. Probably the most effective and least expensive way to use neem is simply to buy and use a bar of neem soap. Don't rub the soap onto your skin. Instead, make a lather of neem soap bubbles and use your fingertips to apply them directly to your skin. Rinse off with warm water, not hot or cold. Alam A, Haldar S, Thulasiram HV, Kumar R, Goyal M, Iqbal MS, Pal C, Dey S, Bindu S, Sarkar S, Pal U, Maiti NC, Bandyopadhyay U. Novel anti-inflammatory activity of epoxyazadiradione against macrophage migration inhibitory factor: inhibition of tautomerase and proinflammatory activities of macrophage migration inhibitory factor. J Biol Chem. 2012 Jul 13. 287(29):24844-61. doi: 10.1074/jbc.M112.341321. Epub 2012 May 29. The sweet leaf stevia isn't just useful for sweetening drinks and puddings and jellies and jams. 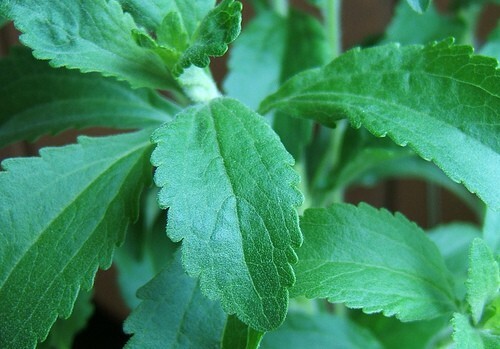 Stevia has a mild antibacterial effect on the microbes in the mouth that can cause gum disease and bad breath. What stevia does for oral hygiene is to break up the biofilm that "glues" bacteria together so they stay in the mouth after brushing and rinsing with mouthwash. Stevia is not the only no-calorie sweetener that has this effect. Xylitol also breaks up biofilms, and even though they are not "natural", so do Splenda (sucralose) and saccharin. Chewing gum sweetened with either stevia or xylitol can relieve throat and ear infections. Giacaman RA, Campos P, Muñoz-Sandoval C, Castro RJ. Cariogenic potential of commercial sweeteners in an experimental biofilm caries model on enamel. Arch Oral Biol. 2013 Sep.58(9):1116-22. doi: 10.1016/j.archoralbio.2013.03.005. Epub 2013 Apr 28. One of the newest sources of natural antioxidants is the goji berry, a Chinese berry that has been popularized all over the world. 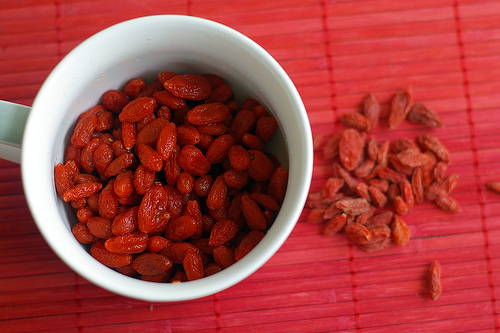 The surprising benefit of the goji berry is that it often can relieve muscle pain, at least the muscle pain caused by intense workouts that push the muscle hard enough that it begins to break down so it can remodel and enlarge itself. The use of goji berries is not without a potential downside. If you are allergic to latex, or if you are allergic to foods that contain latex, such as papaya and mango, or other tropical fruits, such as bananas, you should not eat goji berries or drink goji berry juice, even though it is not necessarily a tropical plant. Amagase H, Sun B, Borek C. Lycium barbarum (goji) juice improves in vivo antioxidant biomarkers in serum of healthy adults. Nutr Res. 2009 Jan. 29(1):19-25. doi: 10.1016/j.nutres.2008.11.005. Turmeric, the Indian herb and Ayurvedic materia medica that is the source of the wildly popular antioxidant curcumin, has been used in treating skin problems and muscle pain for over 5,000 years. 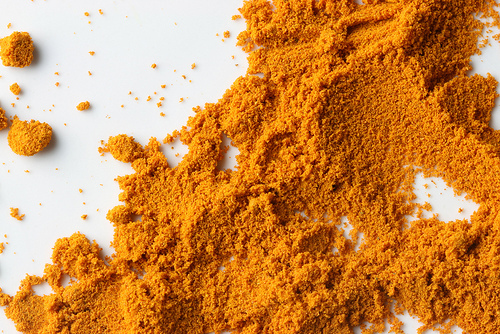 Every traditional preparation of turmeric combines the herb with black pepper. Modern natural products based on curcumin combine the antioxidant with the black pepper chemical piperine, so that it is absorbed more rapidly and more completely into the skin. For pain caused by skin irritation, apply turmeric products directly to the skin. (Don't apply the raw herb to your skin. It at least needs to be mixed with an oil to make a spreadable mixture.) For internal pain, use curcumin, preferably brands that mix curcumin with piperine. Lee JY, Shin TJ, Choi JM, Seo KS, Kim HJ, Yoon TG, Lee YS, Han H, Chung HJ, Oh Y, Jung SJ, Shin KJ. Antinociceptive curcuminoid, KMS4034, effects on inflammatory and neuropathic pain likely via modulating TRPV1 in mice. Br J Anaesth. 2013 May 29. [Epub ahead of print]. Lavender oil to help herpes pain?